Cinema does nothing more than opening for the time of a passage to the luminous presence of the Other. Cinema teaches us to tirelessly touch with our eyes where and at what distance from me the Other begins. Conversation about the film screened and first session of analysis of the works delivered by the participants. Second screening and analysis of a classic film, giving special attention to the tools used by the writer to create the characters and build the story. Conversation about the film screened and second session of analysis of the works delivered by the participants. 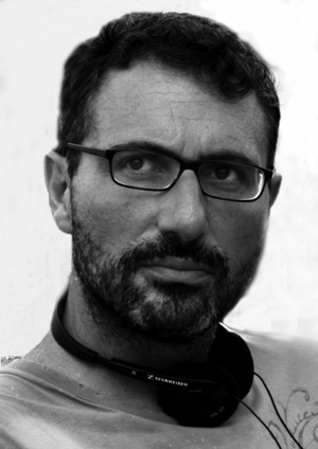 Antonio Piazza is a Sicilian filmmaker and producer. He has worked as writer, development consultant and acquisition consultant for major Italian production companies, such as Fandango and Filmauro. In 2004 he wrote with Fabio Grassadonia the film Ogni volta che te ne vai, a romantic musical comedy set among the night clubs of the Romagna coast, produced by Fandango. In 2009 the same partnership between Antonio and Fabio gave life to the short film Rita, now one of the most successful Italian short films ever, presented in more than 100 festivals including Cannes, Rotterdam and Edinburgh winning dozens of awards. Antonio and Fabio are now in post-­‐production with their feature film Salvo, a French-­‐Italian co-­‐production with the support of Arte France and Eurimages, and Antonio continues his activity as a script consultant collaborating also with the Berlinale Residency. The group for the workshop is limited up to 7 people. To join the 3 day workshop, please register sending a few lines with your motivation to info@rupert.lt by the 1st of March.